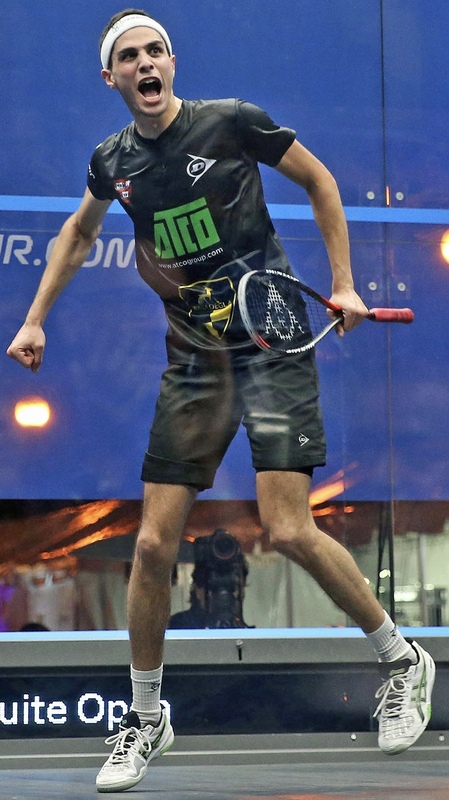 World No.1 Mohamed ElShorbagy took a step closer to the final after he defeated Indian No.1 Saurav Ghosal in an entertaining 51-minute battle. El Shorbagy, who fell to Farag in last year’s final, dropped just five points in the opening game but was tested by a resurgent Ghosal in the next two games and required a tie-break victory in the second, before he edged the third to complete the win by an 11-5, 16-14, 11-9 score line. This is coming after a sublime performance from the World No.9 saw him down fellow Egyptian Karim Abdel Gawad in straight games. Dismantlng 2016 World Champion Gawad, claiming an 11-8, 11-9, 12-10 margin to earn his place in the last eight. Elsewhere, World No.4 Tarek Momen and World No.8 Paul Coll claimed wins against England’s Declan James and Egypt’s Omar Mosaad, respectively, and they will go head-to-head in the quarter-finals. Third round action continues today at 12:00 local time (GMT-4) on Tuesday October 9 and all matches will be broadcast live on. 2018 FS Investments U.S. Open Squash Championships, Drexel University, Philadelphia, USA.